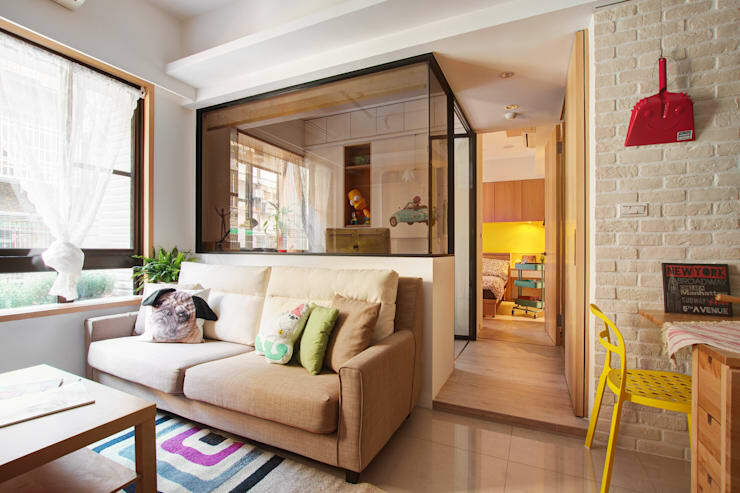 No one quite does small living like Hong Kongers, but we do admit that sometimes, the ultra tiny dimensions of Hong Kong living spaces can be a bit of a challenge. That is why, today, we will present 11 small living ideas that will help combat some of the most common challenges of living in this exciting metropolis. 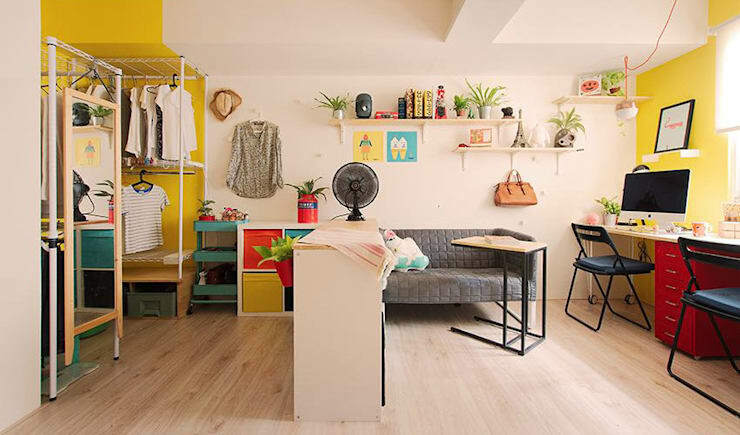 Some are downright simple ideas that would suit any small home, while others are included to add that dash of cosmopolitan glamour that makes Hong Kong so exciting to outsiders. 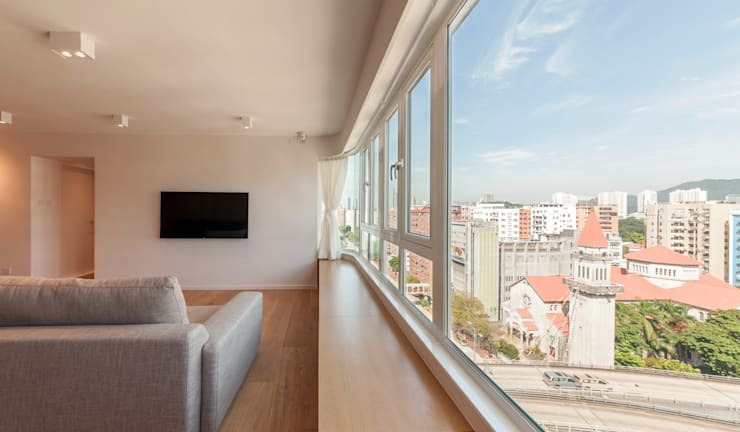 Let's check these small living rooms out! 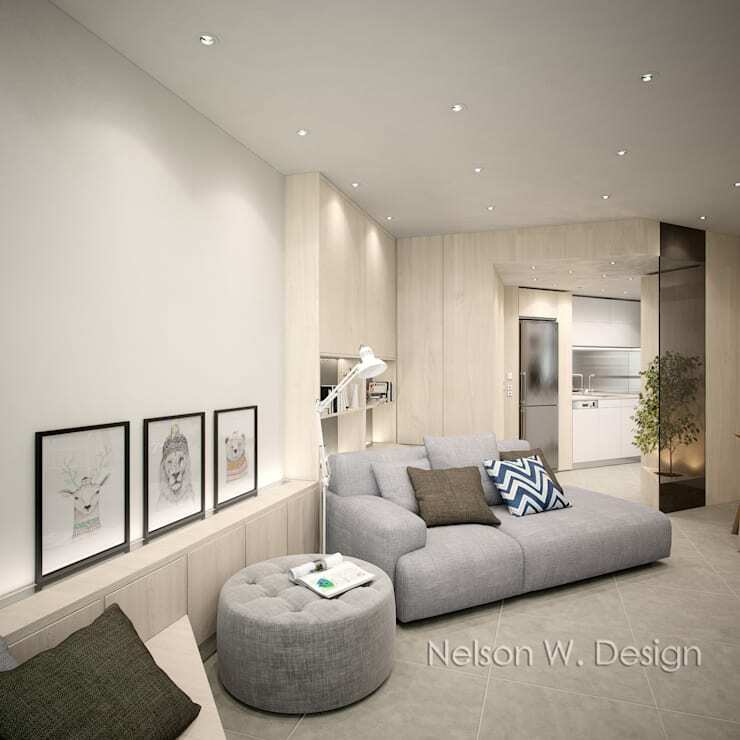 This little Hong Kong living room come to us from interior architects Arctitude Design. 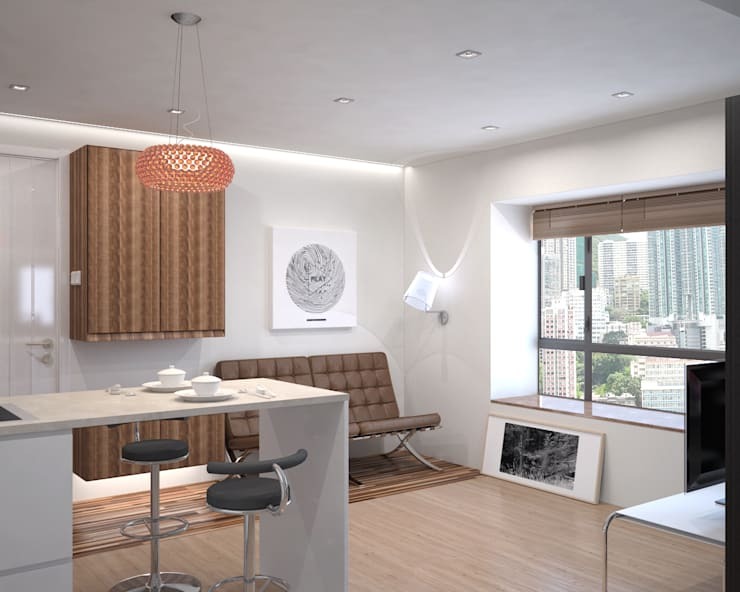 It has a sofa set up to take in the views of the skyline and a clever, streamlined design. The most important takeaways here are the tiny coffee tables. They hardly take up any precious floor space at all! Bespoke cabinetry is really the best way to make the most of all those hard to reach corners in the home. 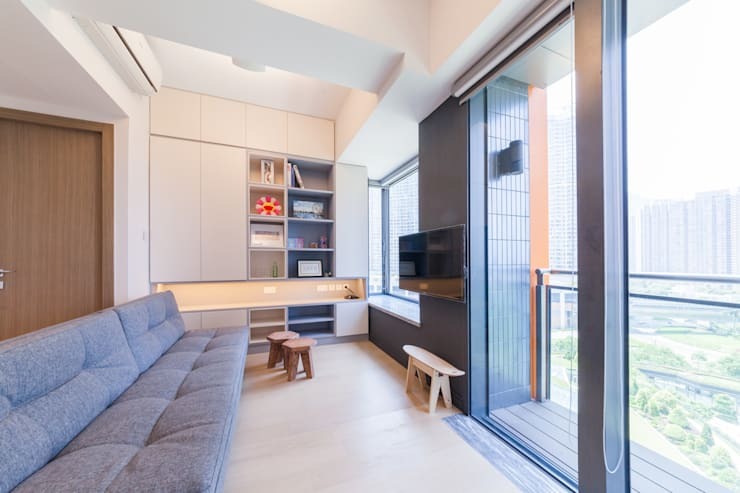 This unusually shaped small living room has the perfect side cabinet that runs along one length of the room. Check out the creative placement of the sofa too. 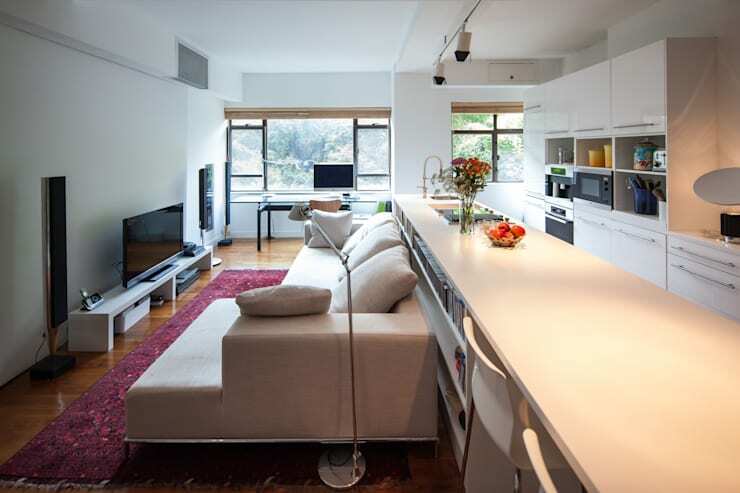 Small living rooms are often butted up against other living spaces and can easily look and feel cluttered. It often helps to use the back of the sofa in the design like this. A two or three seater sofa may seem like the default choice for a small living room, but if you live on your own, a chaise sofa could be a much better choice. This kind of sofa also has a kind of glamorous look. Nothing quite helps your home feel spacious like a good view out of the window. Make the most of it by extending the window shelf outward to create a window seat running along one length of the room. It could even turn into a little reading nook too. Chances are that you can take in all of your small living room and kitchen decor with just one glance. 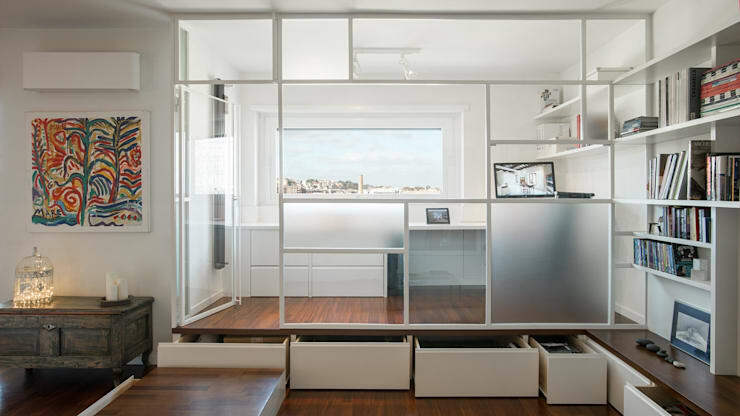 If this is so, consider how the design of both living spaces will work together. A co-ordinated neutral or natural theme as seen here can often work well. 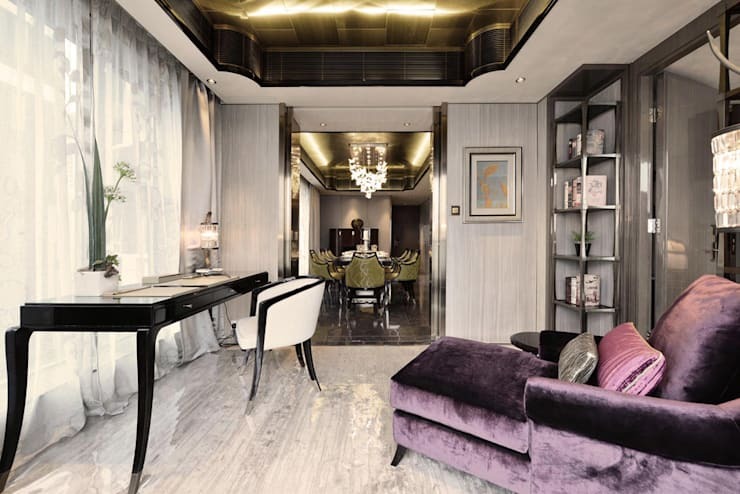 A smoked glass wall definitely has a hint of cosmopolitan glamour. It also makes for a quite dramatic glossy look. This kind of internal barrier will help clearly demarcate the separate zones in the living room without making it feel closed in or boxy. A bright, canary yellow paint very neatly separates the various living zones in this small living room. Plus of course yellow is a lucky colour that adds a bright youthful feel to any room. 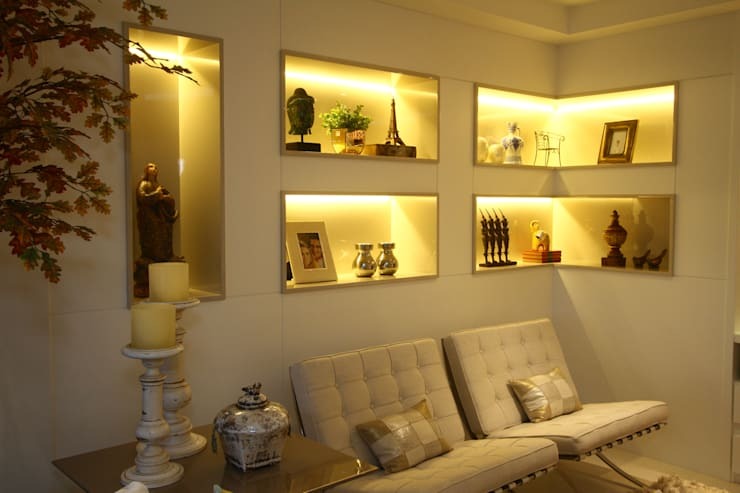 The walls are prime real estate in any small home and here we can see how you can really dress them up well with excellent lighting. This kind of illumination can really brighten up a small space and make it feel much bigger than it actually us. Storage is, of course, a primary point of interest. Here we have a great raised platform with storage compartments hidden underneath. We love how clear and clean it makes the room feel. 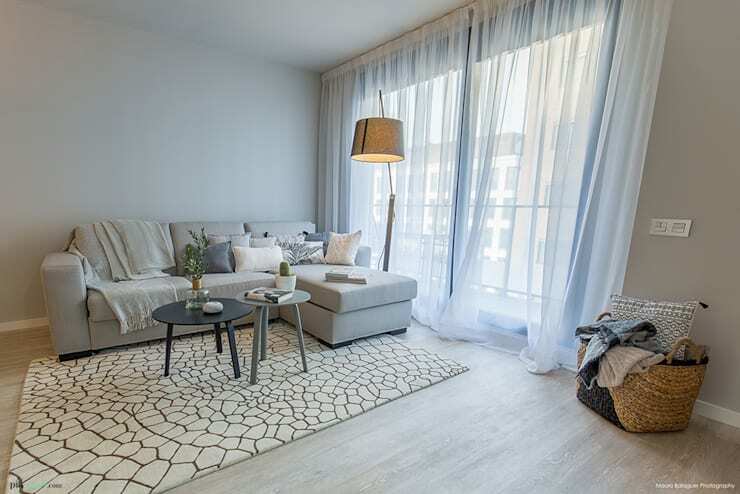 Big, breezy and oversized sheer curtains make the most of any window. They make it feel large and adds to the relaxing tropical feel of the climate. This one is an absolute must! For more home interior ideas, have a look at 8 simple tricks to attract positive energy to your home.